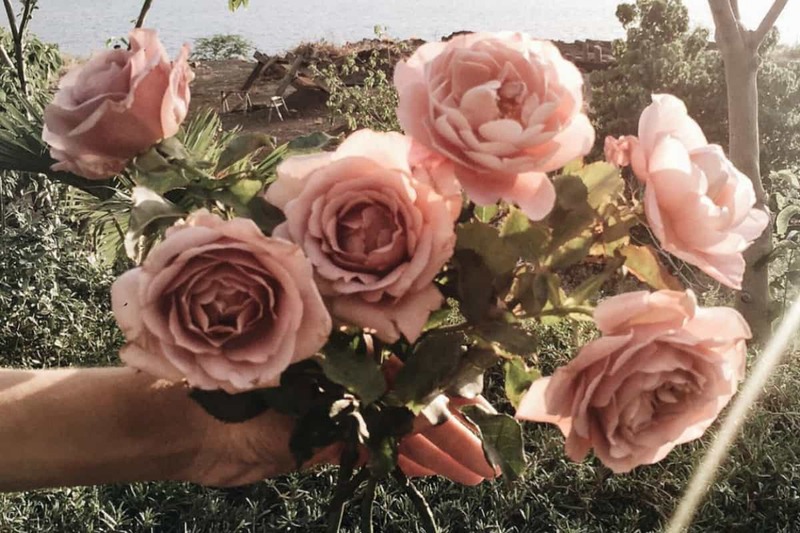 From food to tattoos, flowers to hotels, fill your Instagram feed with some of our favorite New England IGrs. 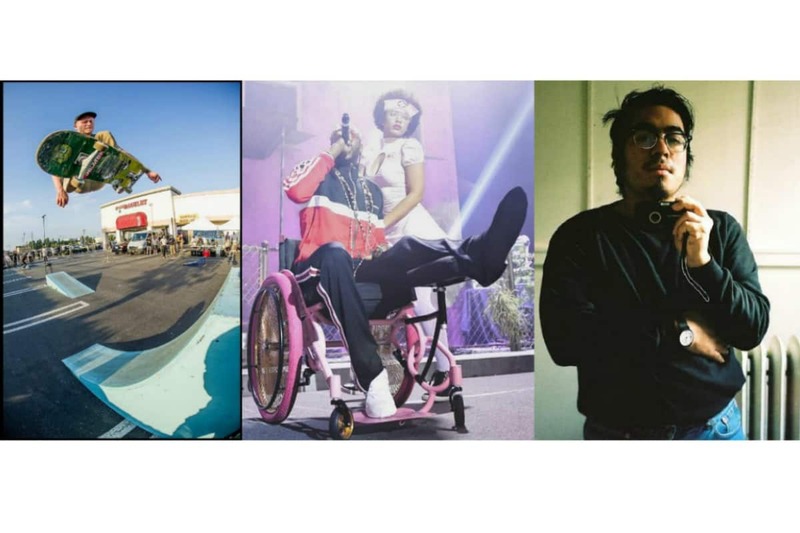 Here’s our list of the movers and shakers, culture-makers that are documenting their artistic ploys and political rants on your fav social media platform. Take a look at New England through Instagram because on insta everyone’s a photographer. Hotel on North is arguably the most photogenic place to stay in the region. Made from two 19th century buildings in downtown Pittsfield this place is anything but the pits. Between the claw foot tubs and the keep-sake quality local trimmings and trappings in each unique room, this place is most definitely instagram-worthy. Dave Rothstein is a snow sculptor and famed donut photographer. He’s a renaissance man of the 21st century and his Instagram account—which includes vegetables dressed with googly eyes, Spock holding a donut hole, and close ups of nature that’ll make you take a closer look at the beauty in your own surroundings—stands testament to that. Sam Wagstaff was a trailblazer & tastemaker in contemporary art—qualities he exhibited as a Wadsworth Atheneum curator in the 1960s. “Sam Wagstaff as Curator” explores his influence and impact, from the organization of innovative exhibitions to the acquisition of cutting-edge artworks. On view now! The Wadsworth Atheneum is the oldest public museum of its kind in the country, founded in 1842, but it’s aging quite well. The tastemakers of Hartford, CT are on Instagram and it looks good. Follow this crew for event updates, artist profiles and all things contemporary and cool in Connecticut. Sad13 is the fierce, feminist solo-project by “frontdemon” of Speedy Ortiz. She just released a new album “Slugger” and did a reddit AMA in a Sailor Moon wig (okay, YAS). Sad13 aka Sadie is the ultimate celeb crush and my forever #wcw. Visit her account for all things pro-love! This Insta takes the retro cake in satisfying all your delightfully kitschy mid-century needs. We had a feeling you would ask, and the answer is yes, they have an Etsy shop: LINKY. The best part? You can invite your friends for a dinner party and brag that your 60-year-old Alvin and the Chipmunks themed glassware set is probably one of a kind. Somerville florist, Caroline O’Donnell Instagram will make you want to die and be reincarnated as a flower in one of her arrangements. There is literally nothing more perfect than her subdued purples and pinks and muted earth tones, and the filters don’t hurt either. Molly Hatch is a designer, illustrator, drawer, author, creator-I could go on. Her Instagram is painfully cute and framed in pastels that upon scrolling through will make your stress melt away. Beware, her flawless composition and frequent enviable tea parties will probably make you resent your own Instagram. As his handle suggests, Matt is a badass photog with a knack for portraits. His feed is littered with humans-in-action AKA ~athletes~ and as you can see, pretty priceless game faces. It’s beer season! Well, it’s always beer season. ‘gansett’s vintage-inspired cans will take you back to the days of pick-up ice hockey on the local frozen pond. Plus, the outdoors-y Rhode Island imagery will give you the feels for Fall. Here's that OFFICIAL POSTER for #hasslefest8 thanks the artist Jen McMahon @bigeyesquarehead for the twisted vision, #repromanreprographics2 for printing it and our incredible sponsors!! @wzbc @bellalunamilkywayjp @pavementcoffee @massculturalcouncil #massfestivals and #saferesponsiblemovers ! See you this weekend y'all!!! Boston Hassle is your volunteer-run DIY info flow on everything underground and ~kewl~. Post-election stress got you feeling some type of way? Look no further. These dogs aren’t just cute, they’re also smarter than your honor student. These puppers are Sally Manikan’s small to mid-distance racing team residing in the White Mountains of NH and they want to be your BFFs. Laughing Loone is the pseudonym of Noel’le Longhaul’s online tattoo persona. Her Instagram is home to dark, ethereal masterpieces on fleshy canvas. She’s also in three bands. In short, there is no one cooler than Noel’le. This is proof—blondes do in fact have more fun. Pizzablonde is essentially living out everyone’s dreams- ya’ll dream about cheese too, right? Right?! By acquainting her tastebuds—and in turn, our insta feeds—with every form pizza can morph into, (i.e. sandwich, spaghetti, and smore) the world can finally see all that pizza can truly be. Shane, hailing from Burlington, VT is #instaporn for black and white photography enthusiasts. The way he plays with the duality of shadows in his pictures will give you a chill and leave you feeling confused in a good way. Take magazine loves to share, and so does Breakfast, Lunch & Dinner. 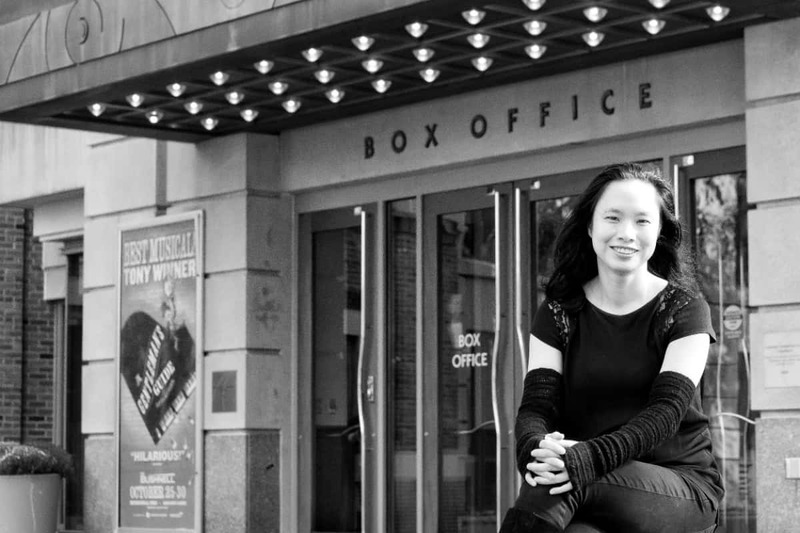 Here’s their interview with HSO director Carolyn Kuan. 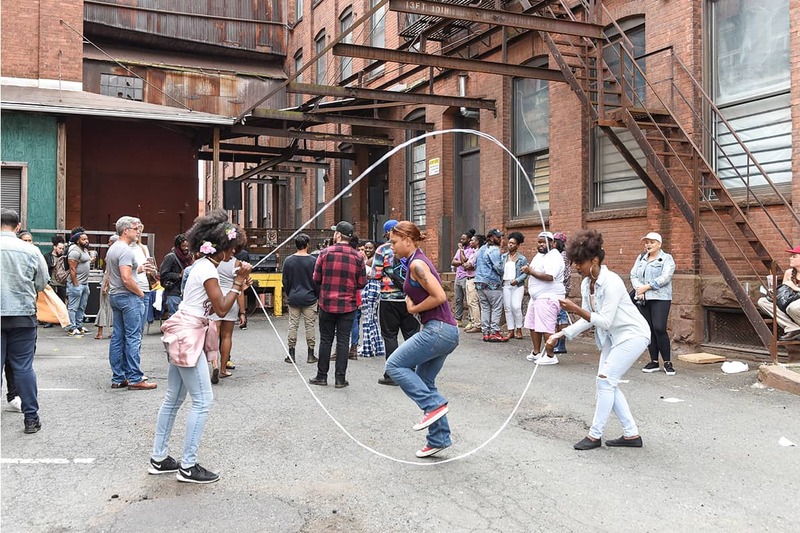 A double Dutch contest, live music, and DJs got the crowd jumping at The Negus × BL&D Block Party in Hartford. Let us help you sift through the varied and vast world of New England photographers on Instagram to find the good and weird New Englanders.